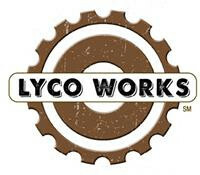 Lyco Works Incorporated offers a business perspective on your IP strategy, providing a line of sight from intellectual property to sustainable revenue growth. Jason Lye, founder of Lyco Works, has 20 years of intellectual asset management experience, including over 15 years of IP-based deal making with Kimberly-Clark Corp, Newell Brands Inc (formally Newell Rubbermaid) and Lyco Works’ customers. 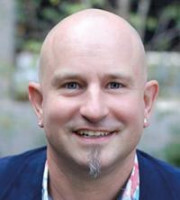 Dr Lye’s most recent industrial position was director of technology in-licensing for Newell Brands, where he led several $100 million open innovation projects for various business units. His technological advice was also relied on by Newell’s venture investment function. Lyco Works’ non-legal perspective enables unbiased counsel on strategies that protect markets, products and services. Because we do not file patents, our customers can rest assured that our guidance will optimise their businesses’ sustainability – without also optimising billable hours. Recent services include leading projects directed at patent protecting human experience and product impact by considering multiple innovation modes, as well as IP landscape analysis and technology trajectory determination. Lyco Works’ customers include publicly traded large companies, small and medium-sized enterprises and start-ups located in the United States and the United Kingdom. Lyco Works also co-organises the annual Georgia IP Think Tank, in collaboration with Georgia State University. The think tank includes in-house counsel for major Georgia corporations and institutions, as well as top IP strategists. Lyco Works publishes strategic advice based on projected IP trends. Dr Lye is a trained negotiator from the Harvard Law School programme on negotiation. He is also an inventor of 20 issued US patents and holds a PhD in fiber and polymer science from North Carolina State University and a BSc in colour chemistry from the University of Leeds. Dr Lye is also a chartered colourist and serves as alternate counsellor for the Georgia section of the American Chemical Society.